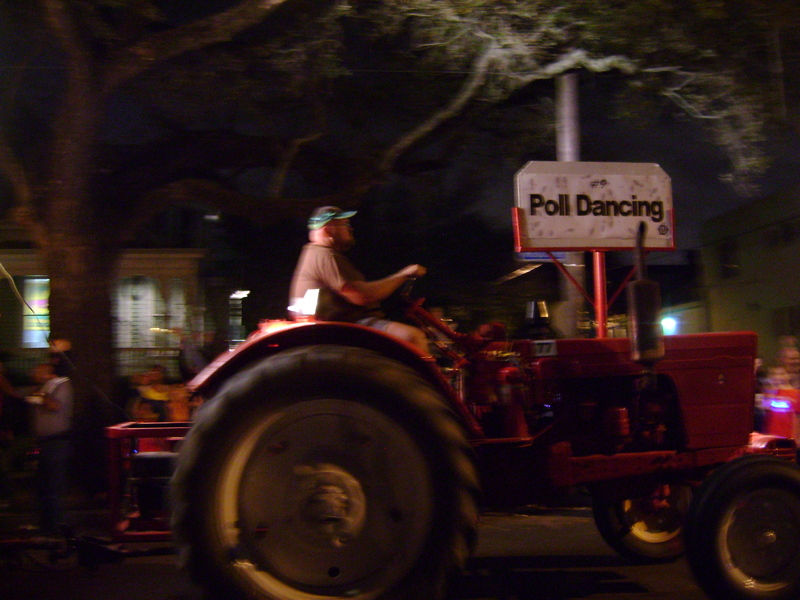 The 106thstreet crew made a little road trip for some pre-Mardi Gras festivities in New Orleans. 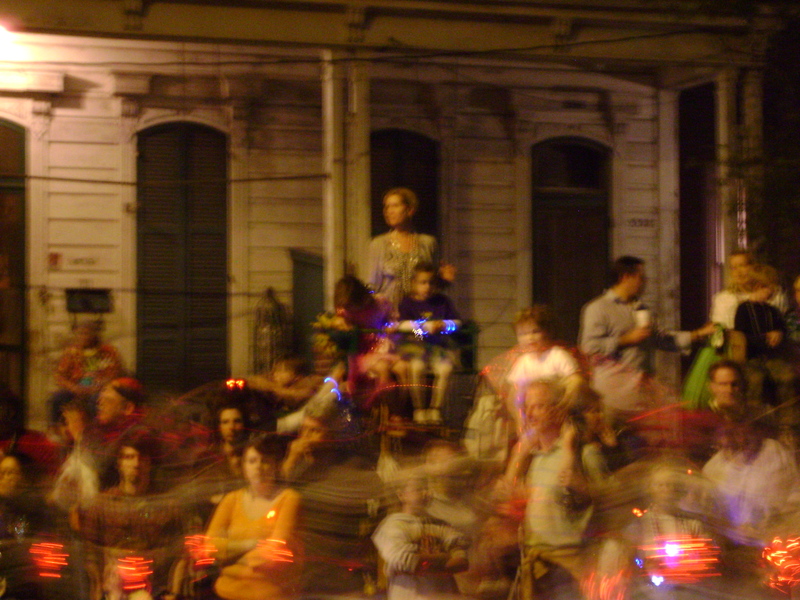 Although today is the big event, the week leading up to Fat Tuesday has no shortage of lively parades, morning cocktails, and general chaos (imagine 50 horses galloping through bumper-to-bumper traffic downtown at 11 pm). 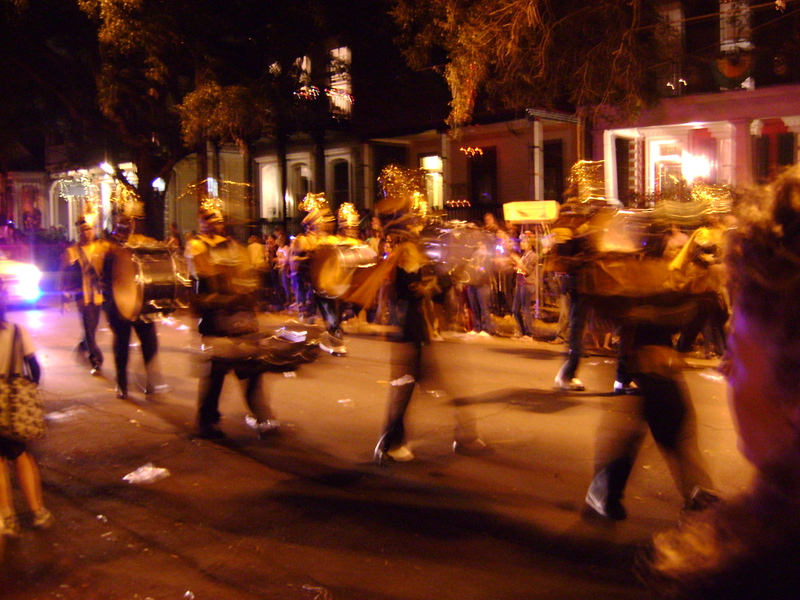 The parades in New Orleans aren’t like New York’s straight down Fifth Avenue, keep to the script and schedule versions. 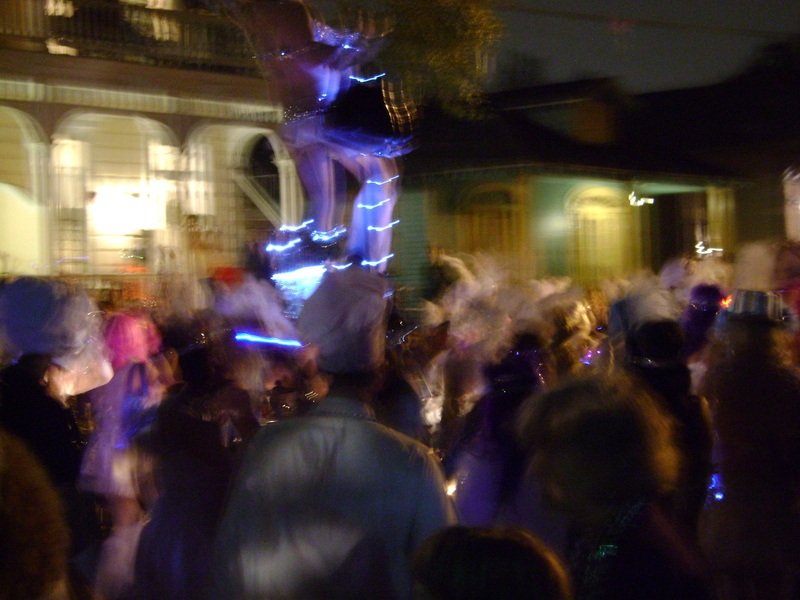 In New Orleans they have weird and wonderful floats, beads and other goodies raining down onto the crowds, crazy dance troupes, drum lines, marching bands, baton twirlers, Elvis moped crews, unicycle gangs…it just never ends. Did we mention that a lot of them are at night and you can legally drink on the street right in front of the cops? Now that’s our kind of parade! We’re going to share a few adventures from The Big Easy in the coming weeks, but in honor of Mardi Gras here are some photos from the Krewe of Muses parade on Magazine Street that rolled through Uptown on March 3. 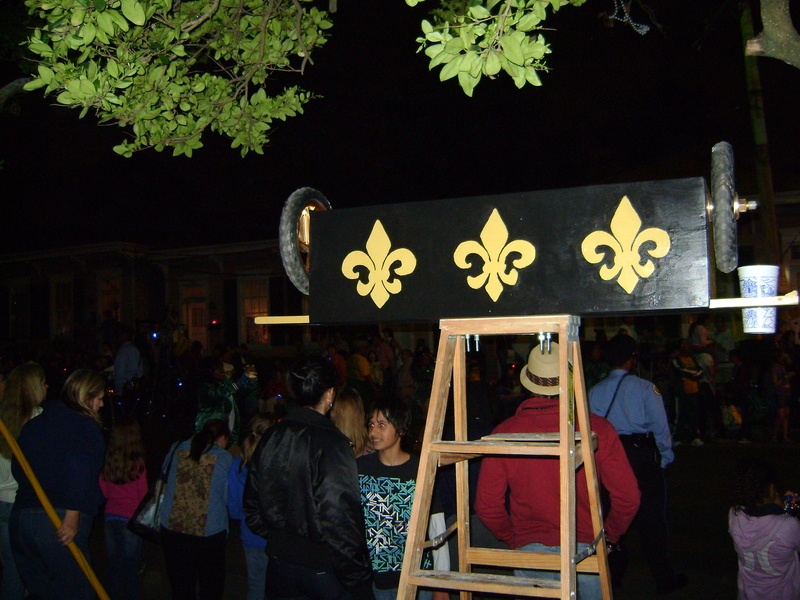 Custom made parade ladder for kid-friendly viewing. C. Nelson, 2011. 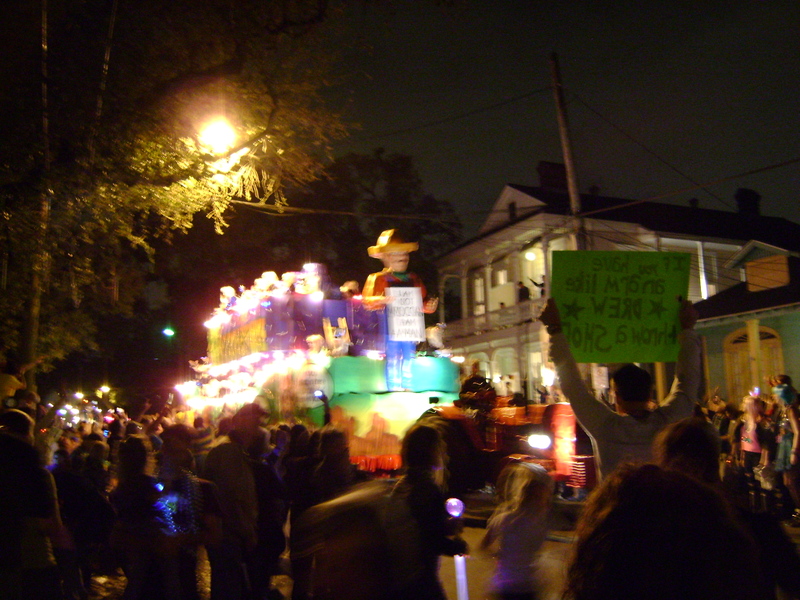 "I am not Mexican, I am Man" float. C. Nelson, 2011. 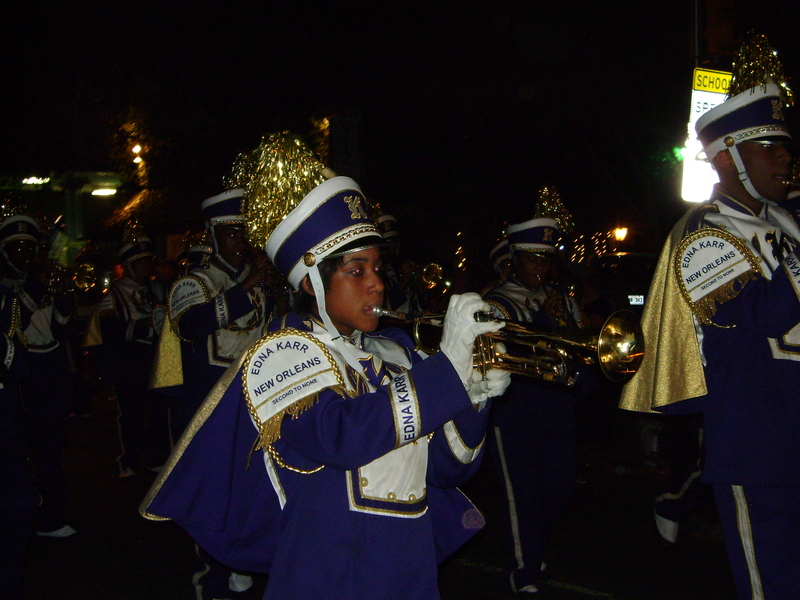 Edna Karr marching band from the Algiers neighborhood. C. Nelson, 2011. 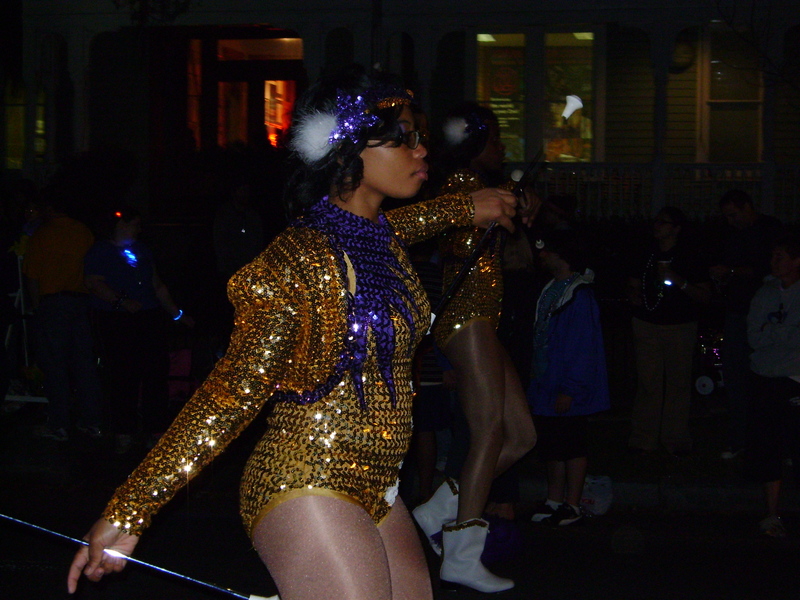 The baton twirlers mesmerized the crowds. C. Nelson, 2011. 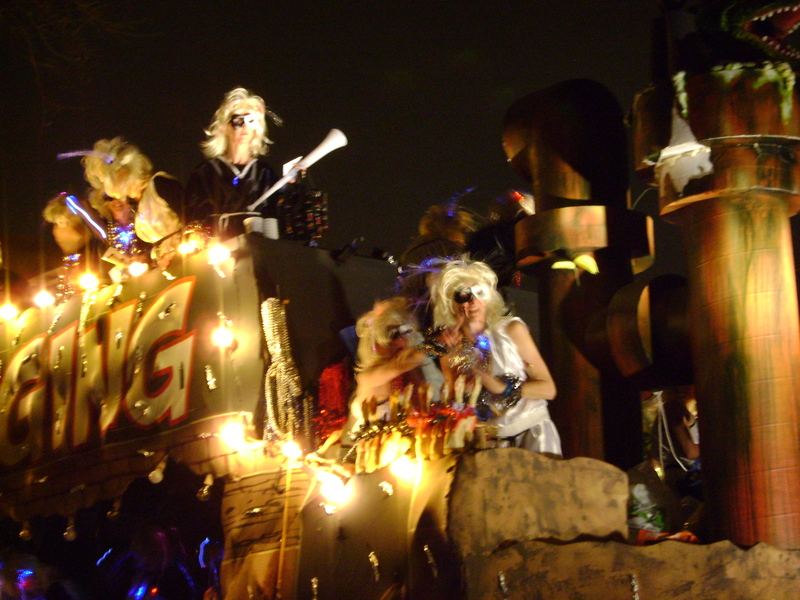 Just 1 of the 24 all-female floats that takes part in Muses. C. Nelson, 2011. The Pussyfooters marching club struts their stuff. C. Nelson, 2011. A mom and her two kids tower over other spectators. C. Nelson, 2011. 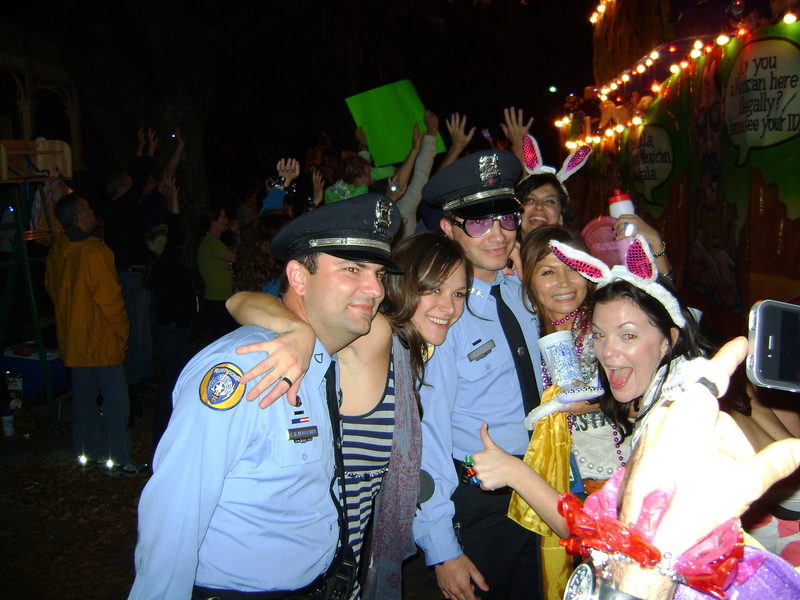 A real cop and a fake cop posing with the revelers. C. Nelson, 2011. 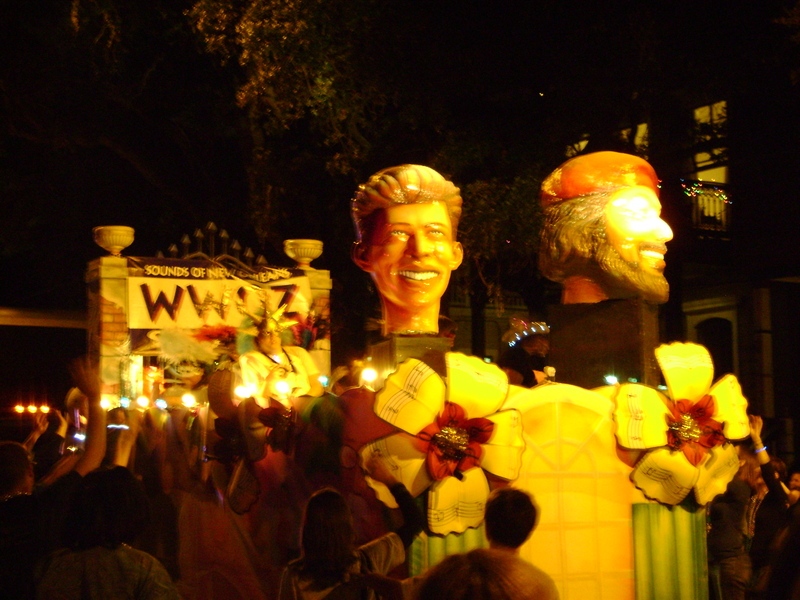 WWOZ float, one of the best radio stations in the US. C. Nelson, 2011. The high school bands don't stand still for long. C. Nelson, 2011. Too bad this guy can't turn around and see the float. C. Nelson, 2011. After a few hours, it all becomes a blur. C. Nelson, 2011. 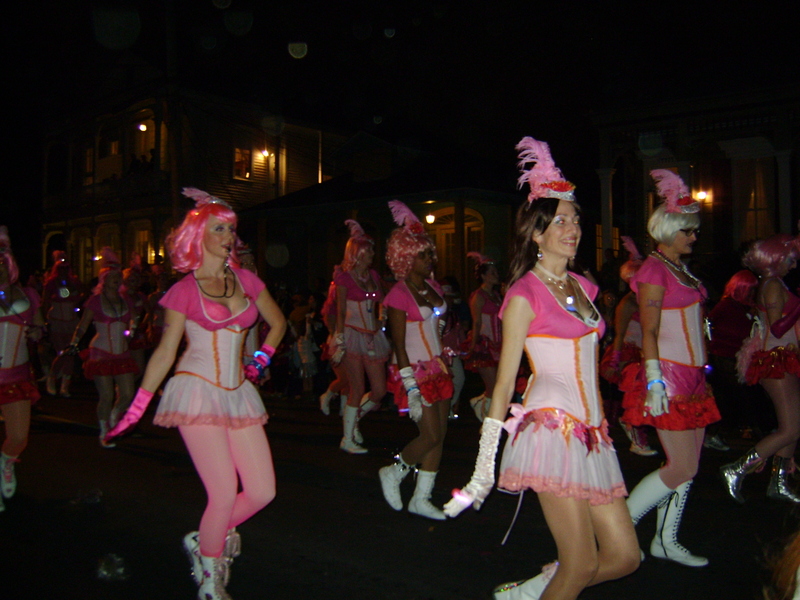 This entry was posted in Road Trippin' and tagged jazz, live music, Mardi Gras, New Orleans, parades. Bookmark the permalink.